O.J. Simpson has been granted parole after nine years behind bars for armed robbery. O.J. Simpson has been granted parole. The 70-year-old former footballer - whose full name is Orenthal James Simpson - was due to serve a sentence of between nine to 33 years in prison after being convicted of kidnapping, armed robbery, and 10 other charges in 2008, but he will be released from the Nevada Lovelock Correctional Center in October after receiving unanimous votes from four parole commissioners on Thursday (20.07.17). The parole board addressed O.J. 's 1995 acquittal of murder in relation to the killing of his ex-wife Nicole Brown Simpson and her friend Ron Goldman, but only to say it didn't factor into their decision. O.J. and five other men had been accused of carrying weapons and entering a Las Vegas casino hotel room in September 2007, where they stole memorabilia, and four co-defendants pleaded guilty to felony charges, whereas the sportsman argued he was trying to retrieve previously-stolen personal items. And at the parole hearing, O.J. maintained his defence, and also said it was important to him to return to his family after being clean during his prison sentence. He told the court: ''I do have four kids. I've missed a lot of time with those kids. ''I think I'm a guy who's always been a giving guy - even on the street. People have always come up to me. My reputation has always been that I'm open to the public. I'm open to everybody. Right now I'm at a point in my life where all I want to do is spend time with my children and my friends. O.J. vowed not to give any interviews after his release and will be able to cope with public scrutiny. He said: ''I'm not a guy who lived a criminal life. I'm a pretty straight shooter...I have no problem, none whatsoever, in living with those conditions. Bruce Fromong, the only surviving victim of the robbery spoke out to support O.J. 's bid for parole and insisted the 'Naked Gun' star will always be his ''friend''. 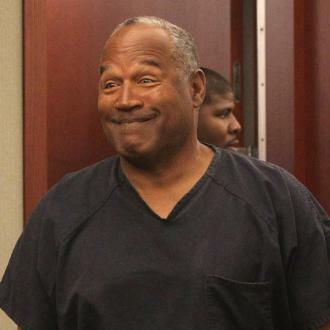 He said: ''O.J. has always been my friend, and I hope still remains my friend. ''O.J. never held a gun on me...Another man came in, hit me. Not O.J. He never laid a hand on me. ''We all make mistakes. O.J. made his, [but] what I've been told is that O.J. has been a model inmate. I don't feel he's a threat to anyone out there. He's a good man. I feel that nine and a half years to 33 years is way too long. I feel like it's time to give him a second chance, to go home for his family. And O.J. 's oldest daughter, Arnelle Simpson, spoke out to support her ''best friend and rock''. She said: ''I'm here on behalf of my family for the purpose of expressing what we believe is the true character of my father.